YouTube Sign In Problem? Important tips on YouTube login without Google account and how to do a YouTube sign in with username and password. Guides on how to YouTube sign in without Google account, how to comment on YouTube using a different name, and how to confirm your age on YouTube for age restricted videos if you haven’t already enter your birthday details. Below are the four important things you need to know about YouTube sign in page. Explanation on how to log into your YouTube account securely and the proper way to login to Google Account. Update: YouTube sign in without Google or Gmail account is no longer possible since the Google’s implementation of the One Account All of Google concept. What this means is that you will need to have a Google account to sign into YouTube. This particular account of yours will also be used to log into all of your other Google products such as Gmail, Google Drive, Google Plus and Hangouts. This is a better way for Google to identify you when you use different products across Google with a single Google Gmail account. 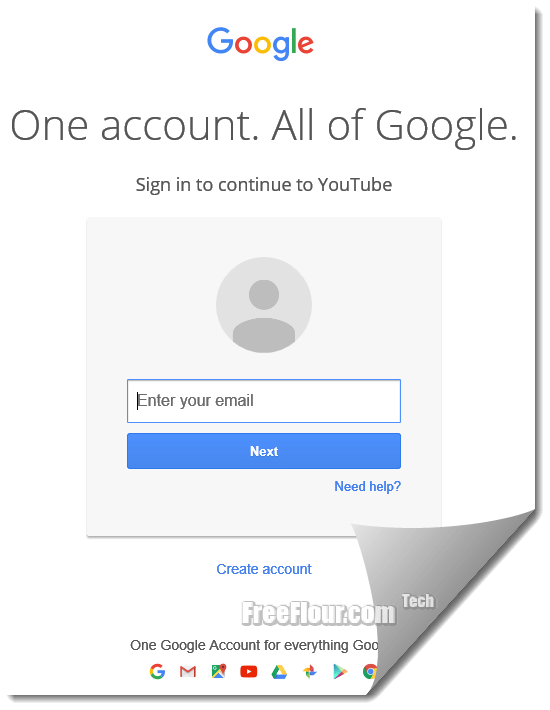 You cannot have your YouTube account separated from your Google Gmail account. You can, however, have multiple Google accounts while reserving one mainly for your YouTube account. Why most people would prefer a separated YouTube account is that they want to remain their anonymity while they comment or upload videos. Well, you can still do this by creating a new additional Google account that have no relationship with your main account for this purpose. Update: As mentioned earlier about YouTube login without Google account above, ever since One account all of Google login method introduced by Google, you will need to login into your Google account first in order to be signed into YouTube. To sign into your YouTube account, go to YouTube.com, click on the Sign in button at the top right corner of the page. You will then see the usual Google account login form which is the same across all Google products. Enter your Gmail username and password to proceed logging into your Google account. When you are logged in, YouTube will identify you by your Google account and sign you in automatically. Your Google account will then be used to identify you when you comment and upload videos on YouTube. It was possible to change and use a different name for commenting back then. But now since everything’s been integrated together, your name used to comment on YouTube will be the same name you have on your Google Plus profile. When you register a Google account, you will automatically be assigned a Google Plus page where you can edit your personal detail. 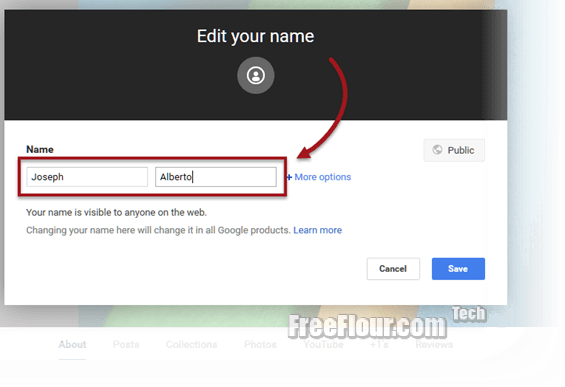 To edit your name for YouTube, go to your Google Plus profile. Under your profile picture click directly on your name. Edit your name into anything you want. But be warned that you are given a limited number of times to change your name before the name field gets gray out and if that ever happens, you will no longer be able to change your name in the next 6 months. When you bump into videos that are age restricted, you will need to confirm your age for your Google account. The YouTube sign in confirm your age will only shows up if you didn’t provide your birthday detail when you registered your account. The confirmation has to be done only once and the next time you view an age restricted video while you’re signed in, it won’t ask for the age confirmation again. 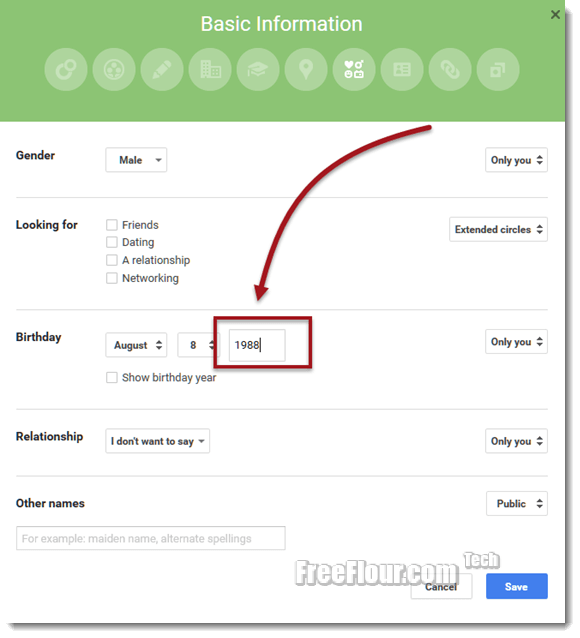 To confirm your age, go to your Google Plus profile. Under your profile picture click on the About tab. Click on the edit button under Basic Information. From there, you can edit your birthday. Enter your birthday as requested, particularly the birth year so that Google can confirm your age. After editing, logout of your Google Account and then sign in again. The YouTube sign in confirm your age pop up should disappear now.